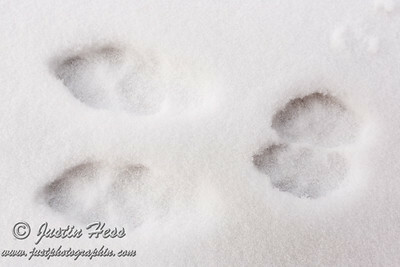 As I look at these rabbit tracks in the snow, I feel anticipation for 2015. Where do they go? I have a few plans for 2015 that will hopefully become a footprint on my path in photography! The first project, that I have already started work on, is a collaboration with a local poet to make a calendar. We have three months fairly well planned with the pictures and poems selected. It has been fun to bounce ideas back and forth, and draw inspiration for photo ideas I may not have come up with on my own. We are hoping to have the calendar for sale sometime this year with the calendar itself being for 2016. This should be good news for all of the people that have requested a calendar full of my photos! I am going to push a little bit harder to go on a few more photo trips, this year. One, that should be relatively easy, is a trip to Yellowstone to photograph wolves in the wild. This has been on my list for some time, and I feel like 2015 is the year to go do it. It can be a weekend trip. I just need to put it on the calendar and go. I did a few astrophotography projects in 2014. It was good practice for when I can plan to head out to better locations. Again, my objective is to put a few weekend trips onto the calendar in 2015, and go. The same can be said for my practice with doing time-lapse photography. In all honesty, I purchased the second camera body as a result of my practice in both of these areas of photography. I can take pictures with the second camera while the first camera is setup for a long exposure or time-lapse. I am confident that photography will take me places in 2015. I look forward to the tracks I will make. None of these projects and trips would be the same without all of my friends, family and followers. Thank you for joining along! Happy New Year, 2015!